Are you, or your loved one, counted in the 7 out of 10 people who would prefer to die at home? Every day, Samaritan supports hundreds of families in achieving that desire. Since 1980, we’ve provided in-home hospice care throughout South Jersey – from Cherry Hill to Trenton, Atlantic County, and beyond. As South Jersey’s largest hospice home care service provider, Samaritan is here to help. 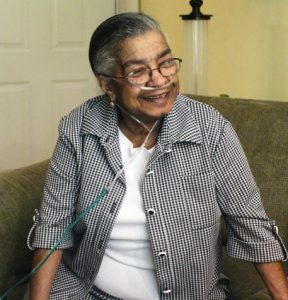 The goal of Samaritan’s care is not to cure a disease, but to control its effects so that patients can maintain their dignity and remain as comfortable, alert, and pain-free as possible in the place they live – whether that hospice service be administered at their South NJ home, an adult child’s home, assisted living community, or nursing home. Call us at (800) 229-8183 or complete the form below. 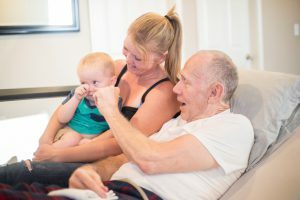 Who qualifies for at-home hospice care? Find out for free. The experience of receiving hospice care at home is not familiar to many people. But, once someone accesses this service, they usually wish they called sooner. At-home hospice care provides comfort care at the end of life where you or your loved one lives — the place you call home. A South Jersey at-home hospice nurse visits your home to assess you or your loved one physically, develop a care plan, refill medications, tend to wounds, answer questions, and coordinate with your physician. The home health aide bathes you or your loved one in the privacy of their bedroom or in a hospital bed set up in your secluded living room. The social worker or spiritual support counselor chats with you and your family around the kitchen table or in the family room. This intimate care, the emotional conversations, and the supportive medical attention occur in the comfort of your own home. You’re surrounded by your familiar belongings. You won’t have to make emergency trips to the ED. You don’t need to navigate hospital parking, elevators, and hallways. Your family doesn’t have to share a room with another patient and their family. You don’t have to try to ignore the hustle and bustle of a hospital wing to share a quiet moment. Call (800) 229-8183 to speak with an expert about your situation. Spend quality time together. Creating additional memories and sharing important words is critical during this time. Be in familiar surroundings. When you use South NJ in-home hospice, you can sit on your own couch and use your own bathroom. When living with serious illness, or caring for someone with serious illness, the comforts of home are priceless. Spend quality time together. Creating additional memories and sharing important words is critical during this time. When you are at home there will be more opportunities for conversation, memory-making projects, and other bonding activities. Create a schedule and care plan that works best. Without the back-and-forth travel to the hospital, you can create a schedule and a care plan that is easier to stick to. Never a need to call 911. Families are relieved to discover they could get help during any crisis by calling Samaritan at any time of day. Someone is available to talk 24 hours a day, 7 days a week. If a problem can’t be resolved over the phone, a nurse will visit. There is no need to call 911 or visit the emergency room. Home health aide care. In-home hospice care includes certified home health aide (CHHA) visits. The CHHA helps with physical care needs like bathing. This personal care, provided with dignity, is even more secluded when performed in the privacy of your own home. Medical equipment and supplies related to your hospice diagnosis delivered to your door. Whether it’s a hospital bed, oxygen, medical supplies, or illness-related medications, they’ll be delivered to your door step. You won’t need to run additional errands for these important items. Expert explanations. Your in-home hospice team are experts in end-of-life care. With each visit or phone call, you’ll get answers to all your questions. 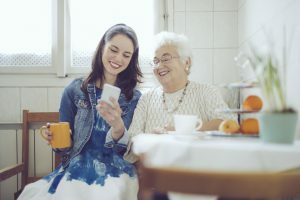 They will guide you through care giving, connect you with community resources, support your emotions, explain the process of dying, and help with funeral planning. Volunteer visits. A trained volunteer is available for companionship, chatting, reading, watching TV, and story sharing. After the loss of your loved one, we’re still here to offer grief support and counseling to help you deal with the loss of your loved one.The hospice philosophy is about comfort, support, and dignity for anyone living with serious illness – and the family members who care for them. Whether you’re in Trenton, Cherry Hill, Atlantic County, or the surrounding South Jersey area, our at-home hospice care can help. Samaritan offers a team-oriented approach to expert medical care, pain management, and emotional and spiritual support expressly tailored to each patient’s and family’s needs and wishes. Contact us now to learn more about our hospice home care services in South Jersey.